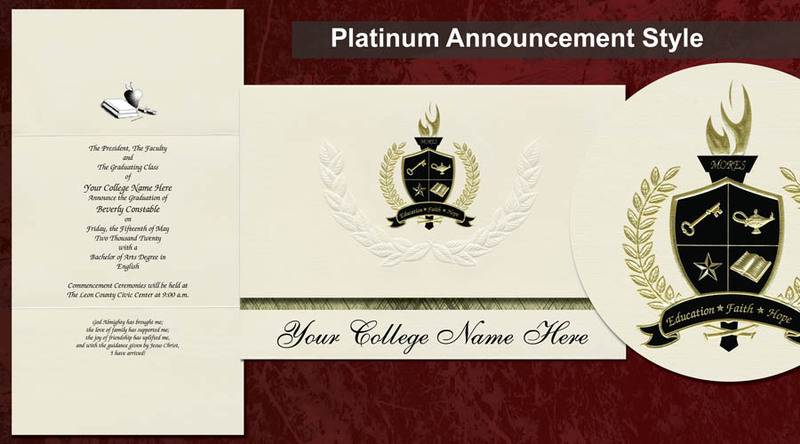 The Platinum Tri-Panel Announcement is the professional sample we send to students across the country! 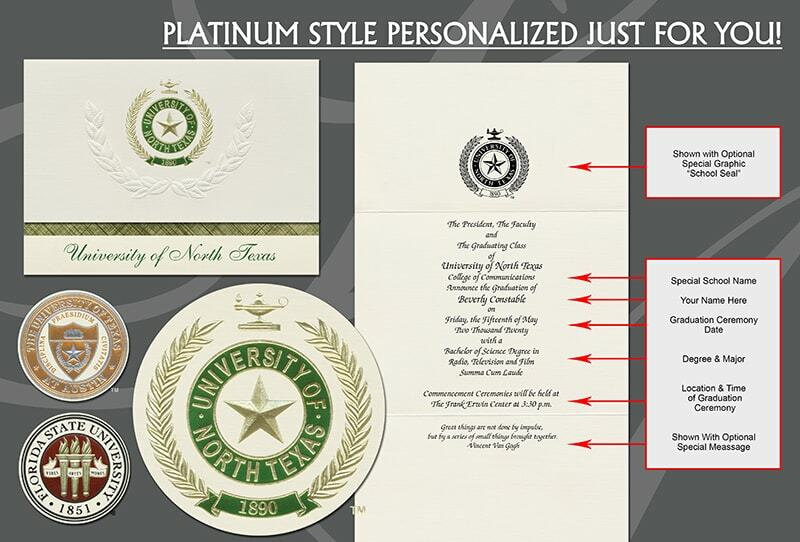 This in-demand announcement allows the most personalization. Allowing up to 70 characters per line (including spaces), the student is able to express and customize their important information! 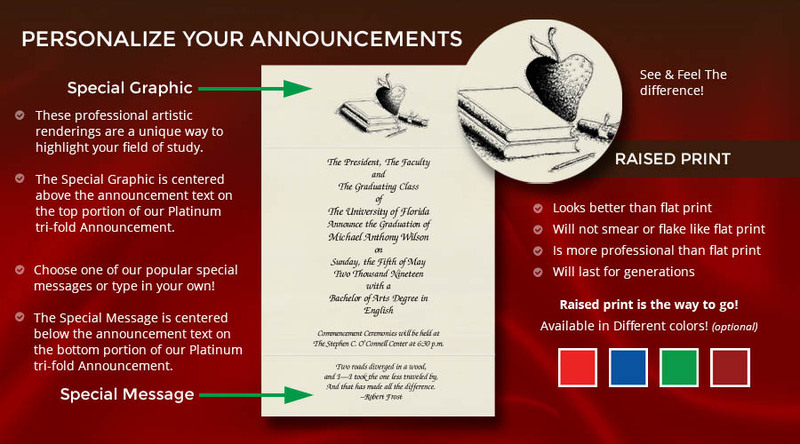 The student is also able to customize this announcement style with a Field of Study graphic. a favorite quote not seen in our library, or they may choose to write one of their own. and will allow up to 70 characters per line (including spaces), and up to 6 lines maximum! 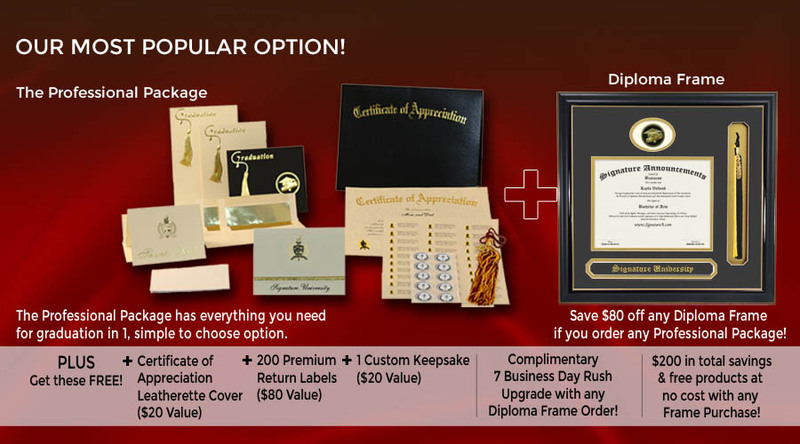 Diploma Frames customized for your college and school! 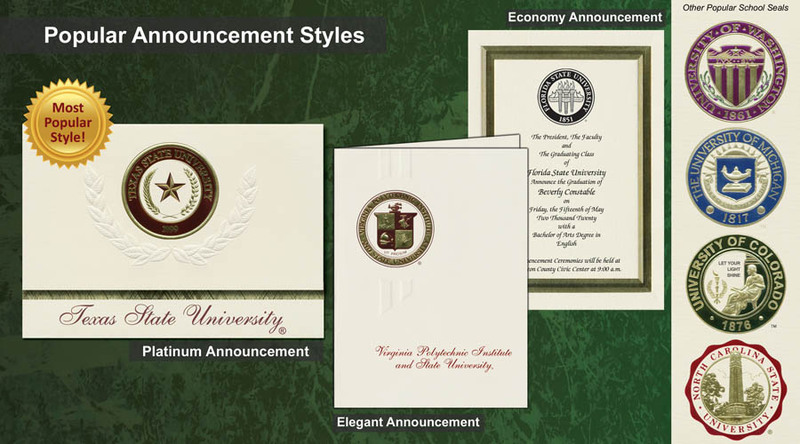 Museum-quality, wood diploma frames that are sustainably harvested! 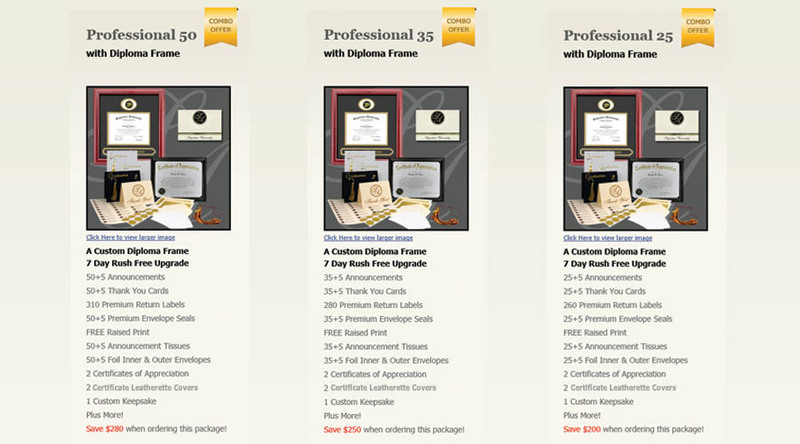 Don't Forget the Diploma Frame Special Offer! 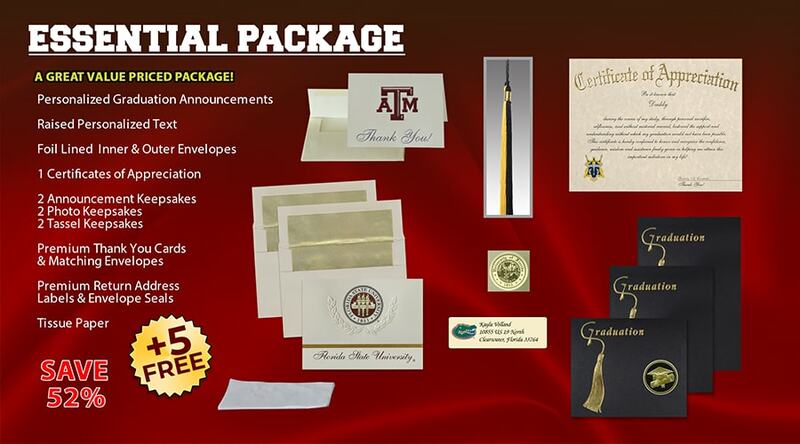 PLUS, get a Free Upgrade to 7 Day Rush! 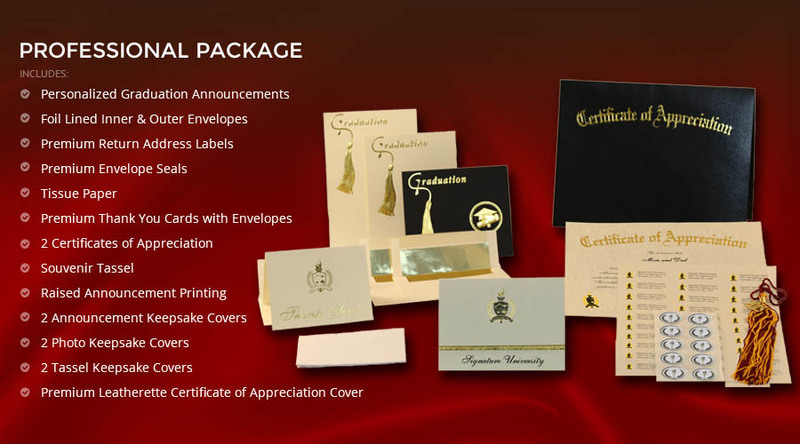 PLUS, get a Free Certificate of Appreciation ! 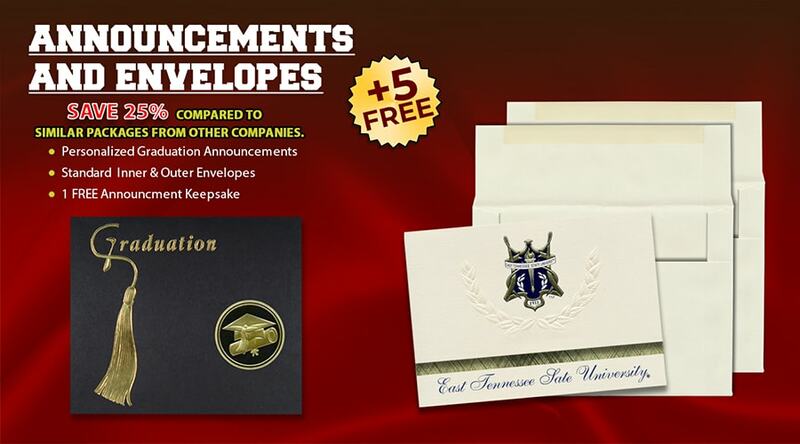 PLUS, get 200 Free Return Address Labels! 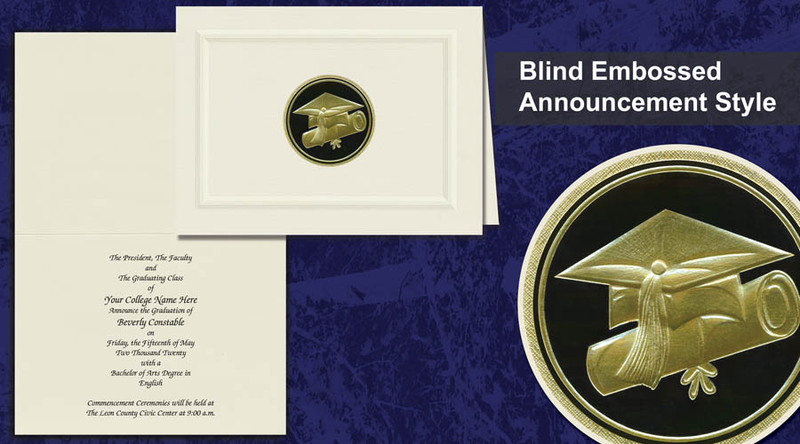 Our distinct, museum-quality diploma frames are crafted with the finest of detail. 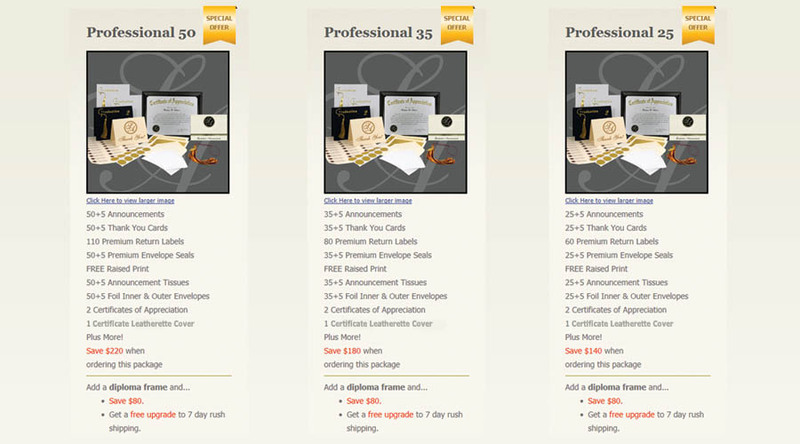 Every frame is professionally finished and hand-assembled to precise specifications. 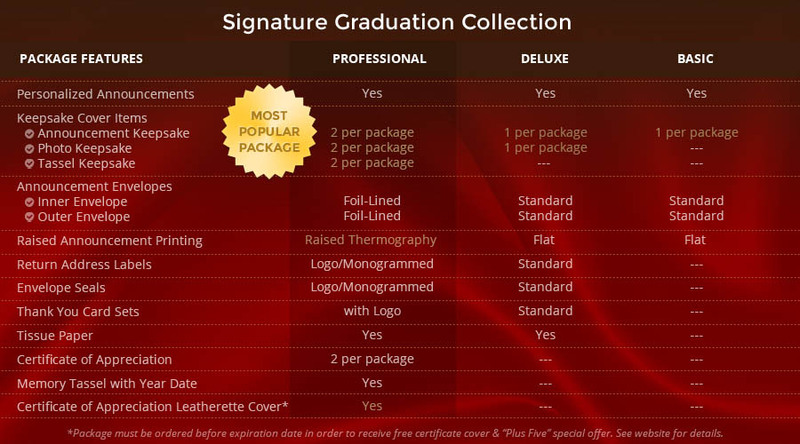 With the help of your university, each frame is custom-sized to exactly fit your diploma. 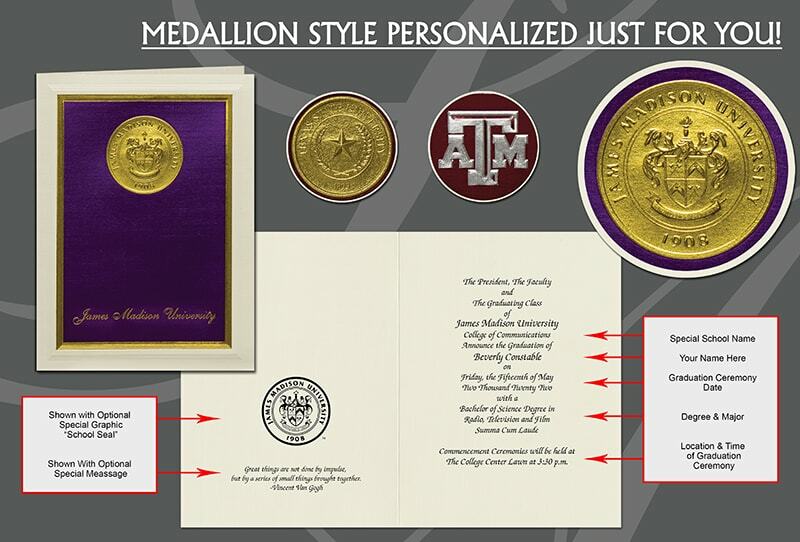 The Medallion & Elegant Announcements are similar to a greeting card. 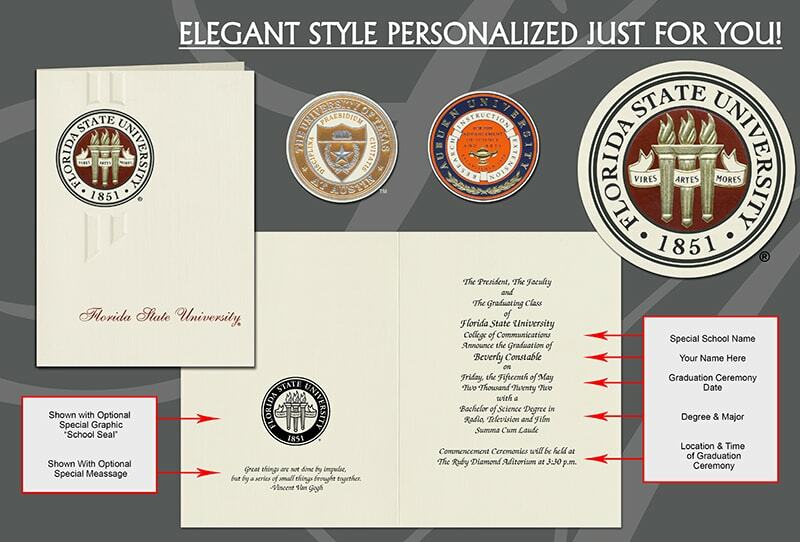 The Medallion & Elegant announcement allows up to 40 characters per line (including spaces). either from our Special Message Library, a favorite quote not seen in our library, or they may choose to write one of their own. 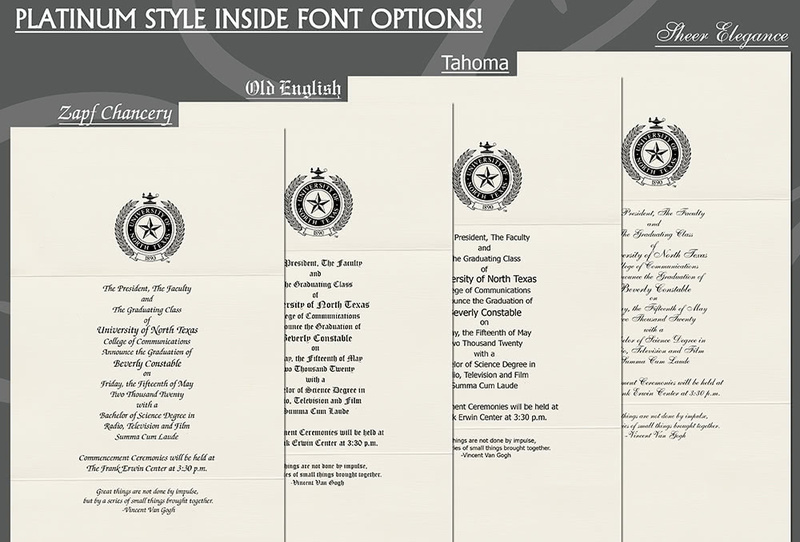 and will allow up to 40 characters per line (including spaces), and up to 8 lines maximum! 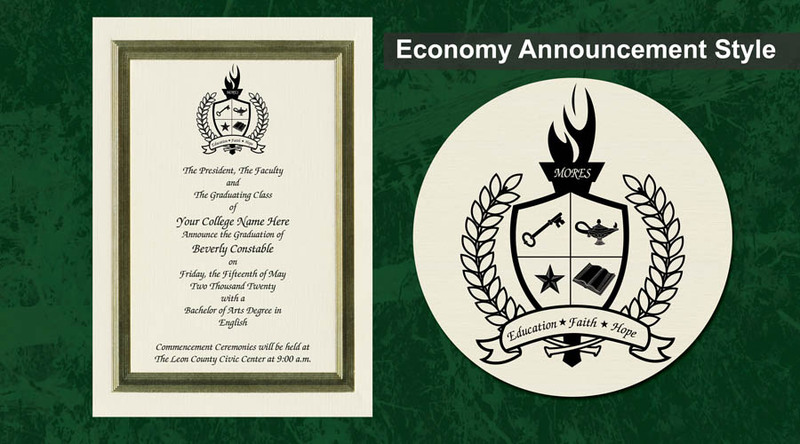 The Economy Announcement is a simplistic way to display and announce your Event! 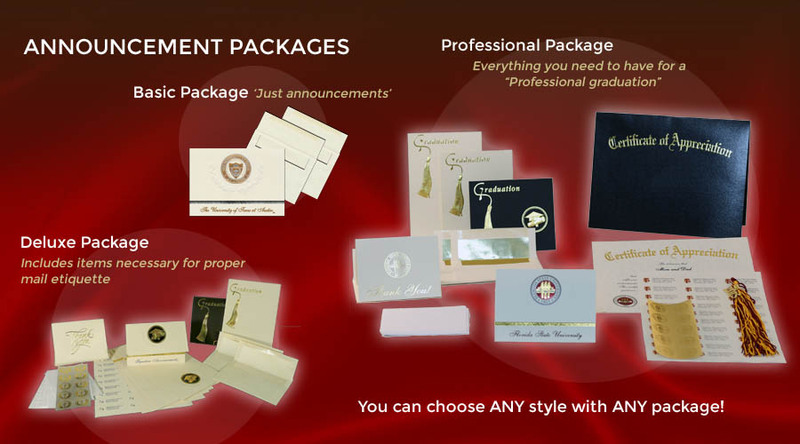 A Gold foil border surrounds your information. 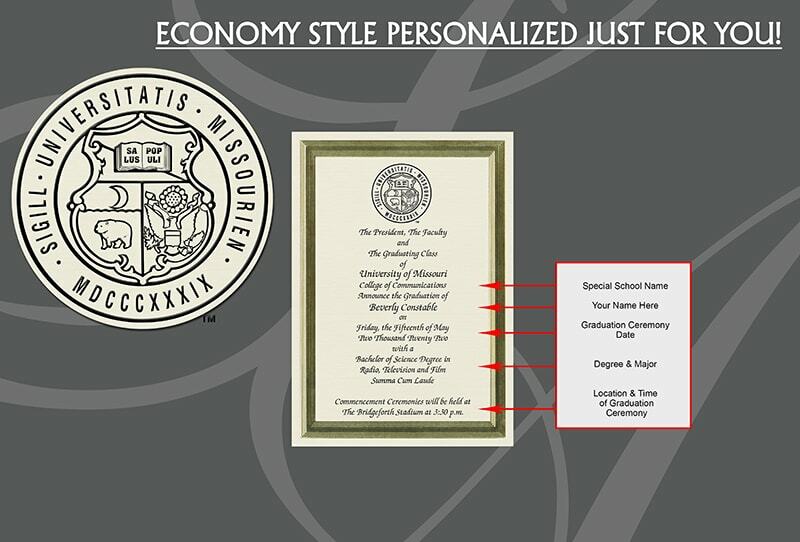 The Economy Announcement allows up to 40 characters per line (including spaces). 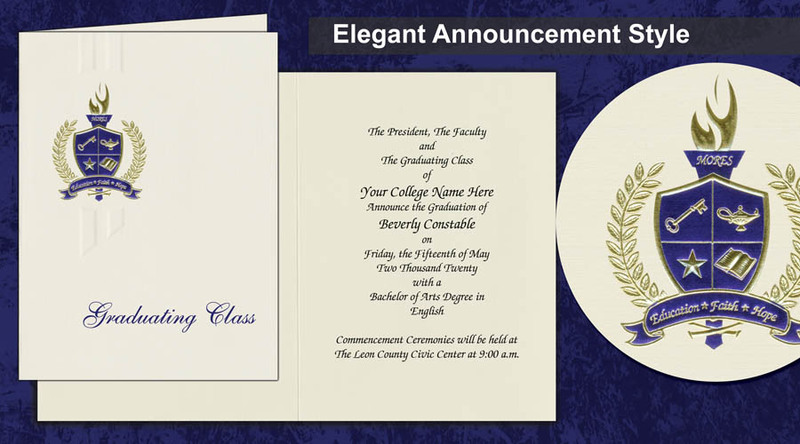 We apologize, however, Special Messages and Special Graphics are unavailable for this style of announcement.